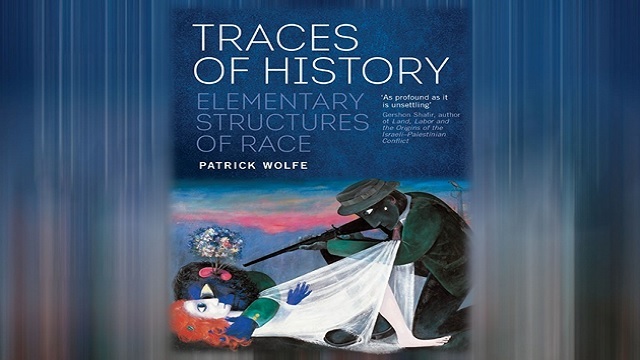 Book cover image of Patrick Wolfe's Traces of History: Elementary Structures of Race, used with permission by Verso Books. At a time of heightened awareness of the enduring challenges of race in America, this conference will highlight transnational insights on the historiography of race that have emerged from the study of settler colonialism. The similarities that connect the histories and displacements of indigenous populations from Hawaii and Australia to North America, South Africa and Brazil, are rarely connected to broader questions of race. Yet interdisciplinary study of indigenous peoples in the context of settler colonialism has given rise to important new scholarship on the operation of race as a conceptual category and as a structure of subordination. Seminal insights in this area were developed by the Australian anthropologist Patrick Wolfe (1949-2016), to whose memory the conference is dedicated. His work centered on indigenous histories in Australia and the United States to develop grounded insights into the present crises faced by African-Americans, Afro-Brazilians, and Palestinians. The conference will gather scholars from around the world to explore new approaches to race and indigeneity inspired by Wolfe’s recent research, which explored settler colonialism to offer a compelling new analysis of race. Drawing the distinction between colonialism and settler colonialism, Wolfe launched a rich field of inquiry, enabling researchers to develop new paradigms for the study of race that contribute to political theory, constitutional theory, historical understanding and new ethnographies and sociologies of indigeneity. His untimely passing has created a moment to bring these many strands of inquiry into conversation. Sponsor(s): Center for European and Russian Studies, Center for Near Eastern Studies, Department of History, Critical Race Studies Program (CRS) at UCLA School of Law, American Indian Studies Center. Conference on Race, Indigeneity, & Settler Colonialism.